Binerus - Innovative software for Microsoft Windows and Apple Mac OS X - 3D effects, watermark software, icon creation. A compact, flexible and affordable tool that will help you create custom 3D logos and headers in minutes. Fully configurable text parameters, any output resolution, lightning-fast rendering and instant preview of the changes made to the text model. Software that allows you to add text or image watermark to any picture. Protect your copyrights with a copyright notice or your logo. Add text comments to any image. Create advanced thumbnails with cool styles and effects. Prepare your image collections to be published on the web. Resize, crop and rotate thumbnails. Batch processing thousands of images. Create advanced thumbnails with cool 3D effects and styles. Protect your copyrights with a copyright notice. Add text comments to any image. Create images with effects like 3D perspective, 3D curving, reflection, glow, shadow, corners and stroke. 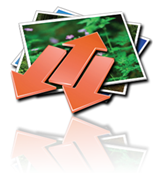 Picture2Icon is a little software tool lets you convert any type of pictures or photos to Windows or Mac OS X icon formats without losing any quality. Support Windows Vista and Leopard Mac OS X icons. Icon Commander converts images of any format into Windows and Mac OS X icons. You can find many images on the Internet and convert them to icons for use on your desktop, in applications and much more. Icon Commander have rich collection of icon styles. 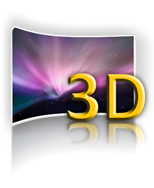 Model2Icon converts 3D models into Windows and Mac OS X icons. 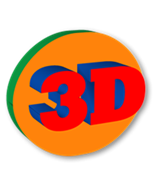 You can find many models on the Internet and convert them to icons for use on your desktop, in applications and much more. Copyright (c) Binerus. All right reserved.